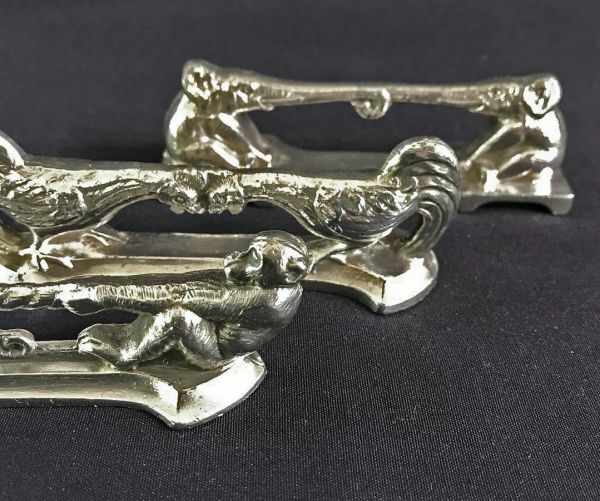 Figural silver plate knife rests, early 20th century. Made in France, marked Argit. There are 6 pairs, two each of swans, elephants, monkeys, roosters, pelicans and hens. 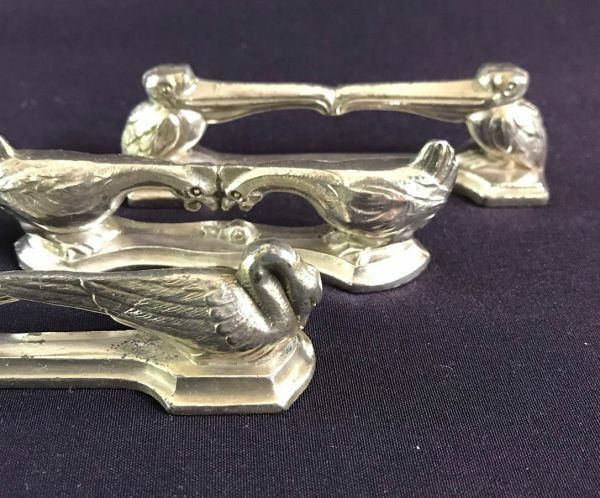 They are 3 1/2” long. $1195 for the set of 12.